When it comes to predicting customer behavior, historical sales data may contain critical clues. Who are repeat customers for a product or service? Have all segments of the target customers been identified? Segmentation is used to divide customers into groups based on their demographics, attitudes, or buying behaviors and target the specific groups with a message that will best resonate with them. The more you know about a customer, the easier it is to predict their behavior. During this season of prediction making, you may want to consider playing the popular German game of Bleigießen “lead pouring,” in which your future is foretold through lead shapes. A spoon with a small amount of lead is held over a flame until the lead melts. The melted lead is then quickly poured into a bowl of water. Upon contact with water, the lead solidifies and forms a unique shape. The shape of the cooled lead is then compared to a list of meanings. You might not have any control over shape formation (i.e. fish “Fisch” = luck “Glück” vs. cross “Kreuz” = death “Tod”), or what personal changes will manifest in 2015, but one area in which you may have some control is in increasing your company’s profitability. By implementing Customer Segmentation, a Voice of the Customer tool within Six Sigma methodology, you’re able to zero in on target customers who create the highest value and ultimately increase your profitability and bottom line. Customer Segmentation identifies and focuses on subgroups of customers who create the highest value and prioritizes efforts to allocate appropriate marketing resources. Companies oftentimes neglect or miss opportunities because they treat all customers as bringing equal value or fail to understand the economic, descriptive, and attitudinal criteria of their core business. Customers can be segmented demographically by marriage status (single, married, divorced). Married couples often have distinctly different purchasing behaviors compared to single consumers. This can relate to purchases such as cars, financial products, or holiday entertainment. For example, travel agencies would not offer similar holiday packages for bachelors and married couples. Customers can be segmented by purchasing power or behavior. These customers could be segmented demographically through social class (lower, middle, upper). Social class is a term linked to education, tradition, income (low, medium, high) and parenting. 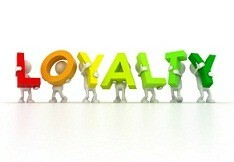 Alternatively, customers could be segmented attitudinally through values or lifestyle (conservative, economical, trendy). If your target customer is upper class, marketing via coupons will be a waste of time for a group indifferent to saving a few dollars. Customers can be segmented demographically through family size (couple only, small family, large family) and family lifecycle (young married no kids, married young kids). Customers can also be segmented attitudinally through needs or motivations (convenience, value, safety). If you’re considering entering new markets/regions and your target customers are children, you may want to avoid certain European countries, such as Spain, where there are 1.4 children per female. We recently were invited to present internally at a prominent health care payer network about the rapidly changin role and importance of web analytics. Gone are the good old days when it was enough to just run a log analyzer or put a simple tag to collect all the information needed about the interactions a customer has with you. Analysis used to be limited in scope and focus on a handful of parameters that could be optimized, such as bounce rates and conversion rates, by tweaking the checkout flows and usability improvements. Not that conversion rate optimization is less important today but as customer interactions focus less and less on just the company website, the new critical need is to try and get a coherent picture of general customer behavior across all touch points. Instead of trying to infer customer thoughts and concerns through their clickstreams, many are now openly expressing needs and problems through social media. This goes beyond “cross channel marketing” into the new area Forrester and others are now calling Customer Intelligence (CI). Similar to the way business data evolved from simple reporting into Business Intelligence (BI), as customer data gets more complex and varied, putting everything together and drawing conclusions and trends from it will need to employ similar methods and tools. This is primarily a mindset change from the somewhat passive “analytics” to the broader and much more active role of managing and providing customer intelligence. The expectations from Web Analytics professionals and systems are changing as well from the cyclical analysis and response to the providing of on demand, immediate intelligence for both individual and aggregate customer needs and problems. In some companies this evolved into a real “command center” that has 24/7 monitoring and interaction tools to listen, interact and respond to customer needs. Quantity: The quantity of interaction points is exploding due to social media, online videos and mobile devices. Traceability: It is very hard to identify users across various media. Mapping a web user to a Facebook account or twitter feed is not always possible. Immediacy: There is an overwhelming need and expectation for immediate response. Here is a conceptual diagram of this new reality illustrating all the new interaction points being consolidated into the central Customer Intelligence and the introduction of the analytical services that can be used to optimize the user experience. Individual: If we can aggregate customer data and interactions from different channels, this will dramatically improve segmentation, insight for sales and customer service professionals interacting with the customer, and services that can target offers or content in real time based on user past interest and behavior. Identify problems / issues / sentiment changes and address them quickly. Adjust data models to accommodate multiple user identifiers, channels, devices etc. The Web Analytics vendors are starting to step up and offer tools and support for Customer Intelligence. In upcoming posts we’ll look into WebTrends, Omniture, Google and IBM to see how their offerings stack up and the type of solutions they support. Are eCommerce prices getting too dynamic? This holiday season I was looking for a specific toy as a gift. I did a price comparison and found it had the lowest price at the Toys R’ Us site. When I went back to make the purchase just 2 hours later, the price has jumped up by 50%. Now I had to do my comparison all over again. That was frustrating to say the least. This is the latest example of Dynamic Pricing. It’s been around for a while but mostly in scarcity driven industries like airlines and hospitality / entertainment. Here the rules of the game are clear, inventory is limited, it has an expiration date, securing a sale in advance has benefits and discounters can help you sell last minute excess inventory. Now back to our dynamic pricing for $50 toys, other than a few highly desirable toys before Christmas, this is not a scarcity market. Special sale, timed sales, loyalty coupons and all these dynamic promotions are confusing enough but serve a purpose. Not being able to do a simple price comparison and place an order is annoying and will impact the buying decision. If there is always the possibility of a lower price just around the corner, then let’s wait. Target had recently announced that it will begin price matching for all products, even against amazon but details on implementation are a bit fuzzy. As dynamic pricing gets more widely used and noticed by consumers, how will they react? If the products you sell are of a limited quantity, knowing how many are there (at this price) is very helpful. What Orbitz does for example (only 3 tickets left at this price!) gives the consumer valuable information and an incentive to act fast. If a price is reduced for a period of time, let the consumer know for how long it will stay at this price. Again, enables decision making. Shop with confidence. While guarantees against future discounts are problematic, consider offering this to members of your loyalty club. The same way a great sales associate will tell you a sale is starting next week and he will hold the items for you so you can pick them up at the lower price, rewarding the best customers with price assurance and advance knowledge of sales will go a long way. If you are putting an item below the competition, make it known. Consumers may doubt it but if they check and found it is true it will build trust. Try not to put items that are dynamically priced into an email. Since you have no control over when the consumer will read the email, they may be viewing pricing that are no longer correct. Feed the aggregators and comparison sites as soon as changes are made. The key theme here is that dynamic pricing can be great if the buyers are given enough confidence and information to make decisions. Otherwise it may just make the the consumer even more hesitant to click the “Buy” button.